Square-Enix character artist talks about the creation of Chocobos, and his approach to their design in Chocobo's Mystery Dungeon: Every Buddy! With Chocobo's Mystery Dungeon: Every Buddy! now available on the Switch, everyone seems to be talking about Final Fantasy's fluffy giant bird...things. 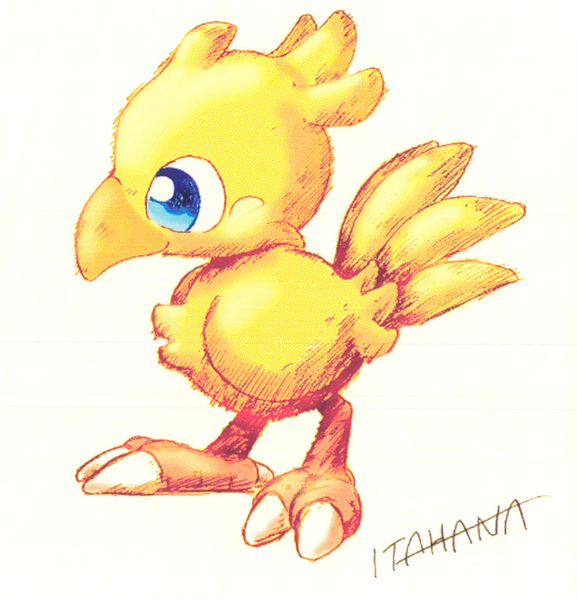 In an interview with Square-Enix character artist Toshiyuki Itahana, we get to learn who came up with the Chocobo idea to begin with, and also hear about Itahana's twist on them for Chocobo's Mystery Dungeon: Every Buddy!. Chocobo is a character that was contrived and designed by Koichi Ishii when Final Fantasy II was being developed. The one that appears in Chocobo’s Mystery Dungeon is a version that was stylized specifically for a Final Fantasy spin-off with a rogue-like system. I designed it when I was temporarily assigned to work at Square Soft while I was a designer at my previous company, a toy manufacturer. At the time, I explored various designs including chocobos with a sharper beak that appeared more like a dinosaur as well as those that appeared more like a chick. Games: Chocobo's Mystery Dungeon: Every Buddy!